Whoa, obviously Bout of Books 11 gave me a huge boost. 15 books in August! My favorite August read? Surprise: Colorless Tsukuru Tazaki and His Years of Pilgrimage. How to Build a Girl and A Brief Moment of Weightlessness were way up there, too, though (reviews coming later this month). 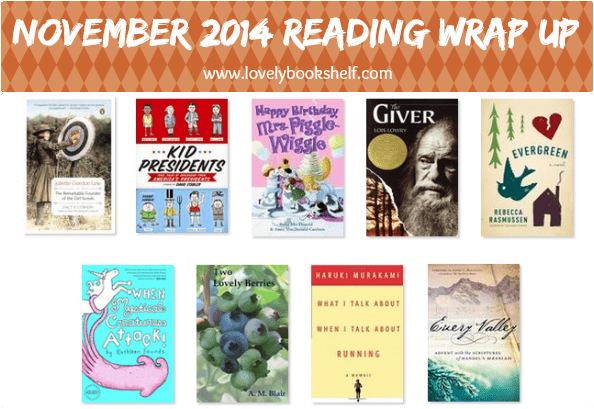 I have a feeling my reading will slow down and get back to normal this month, though. This weekend started rehearsals for another musical, Annie Get Your Gun. There are some really tricky (and fast!) spots. The Sound of Music was easy enough that I could read through it the first time through, but I’m going to have to do some practicing this time around. Hope everyone is looking forward to a great September!